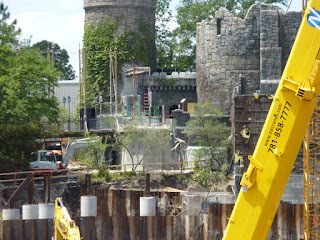 Construction Update, Harry Potter Coaster, Islands of Adventure. 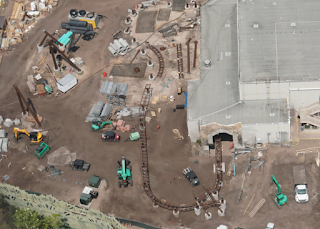 We have track spotted outside of the old Dueling Dragon's station, which confirms the direction the coaster is taking and gives a hint of what is to come. This slower section of the track seems like it will go past set pieces and other elements of theming for the ride's storyline. Photo: bioreconstruct twitter. 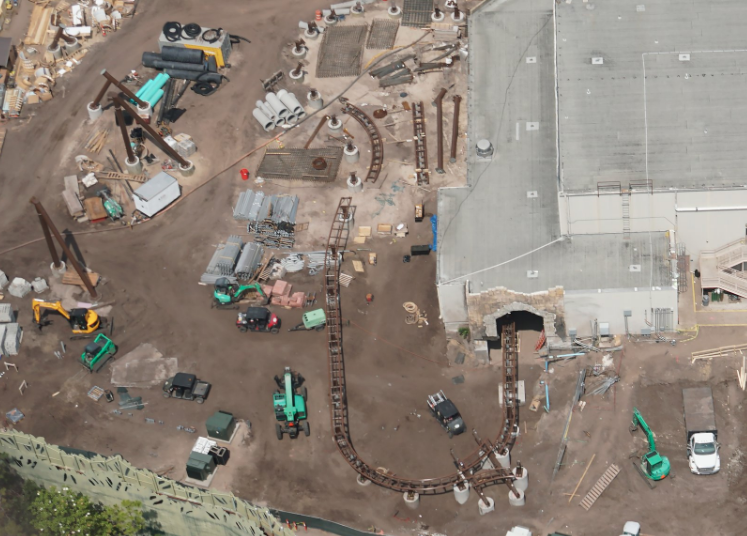 Orlando Parkstop has made a prediction of the layout below, which shows the tall support being a section of the ride in which you will begin to travel backwards. 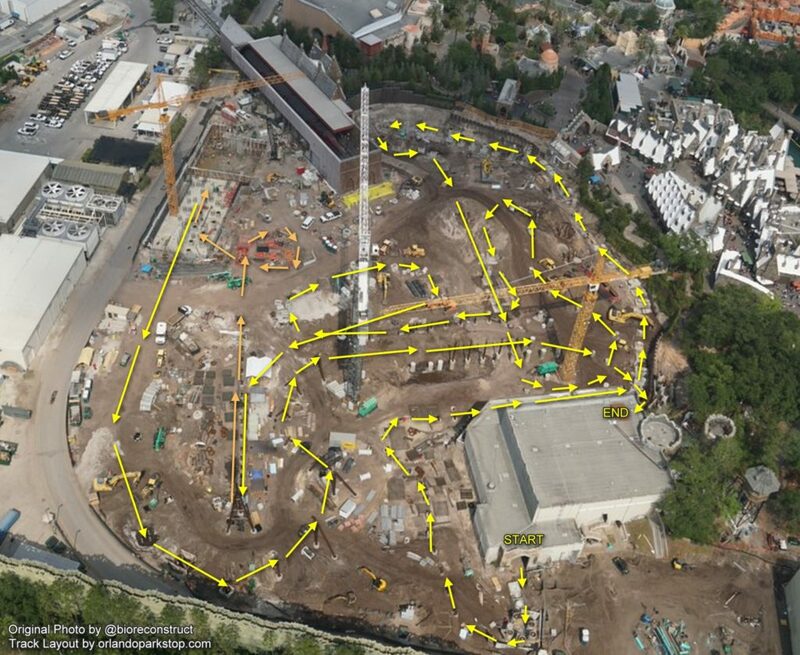 This photo shows a layout of what is expected of the new ride. 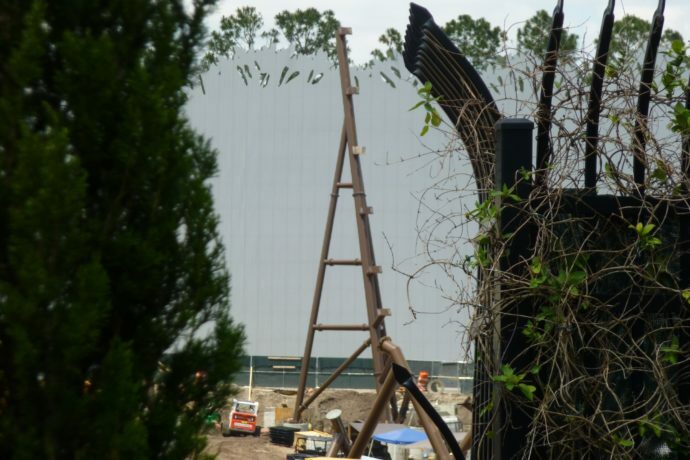 The layout was created by orlandoparkstop, Photo:bioreconstruct.